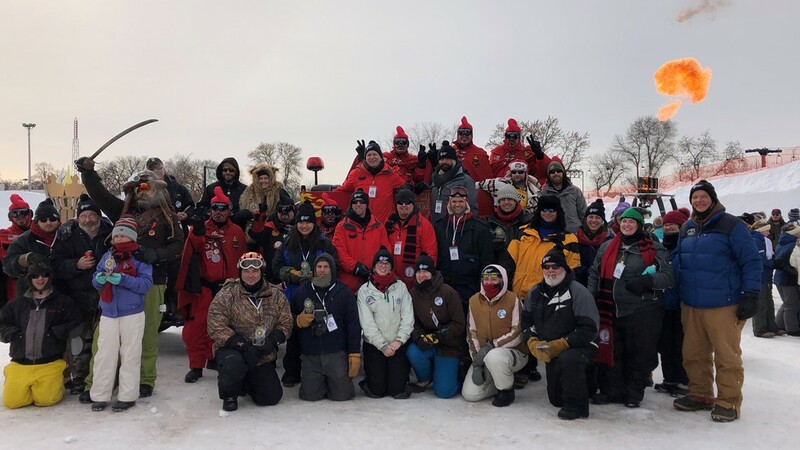 A group photo of the snow carvers at the 2019 St. Paul Winter Carnival. 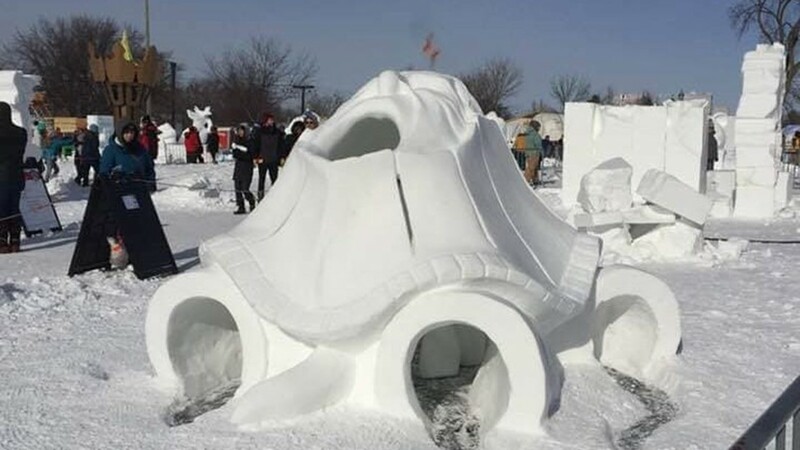 A House of Thune snow sculpture from the 2019 St. Paul Winter Carnival. 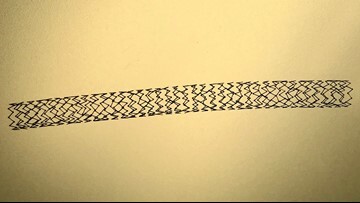 "Heading South," by Trevor Pearson. 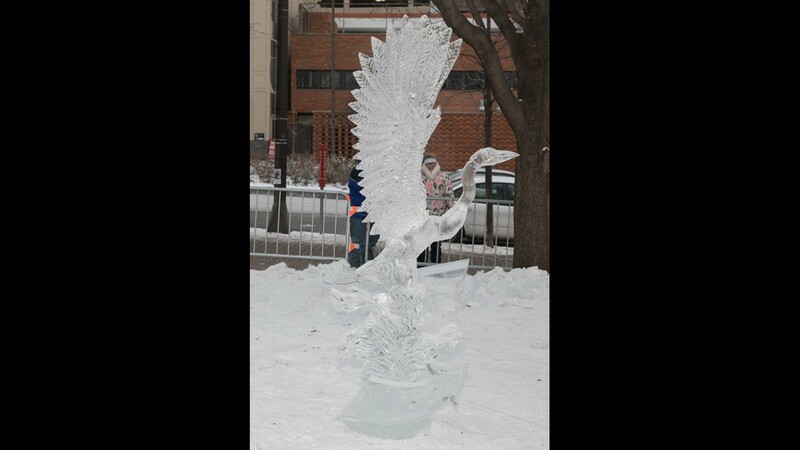 1st place in Individual Block Professional at the 2019 St. Paul Winter Carnival. 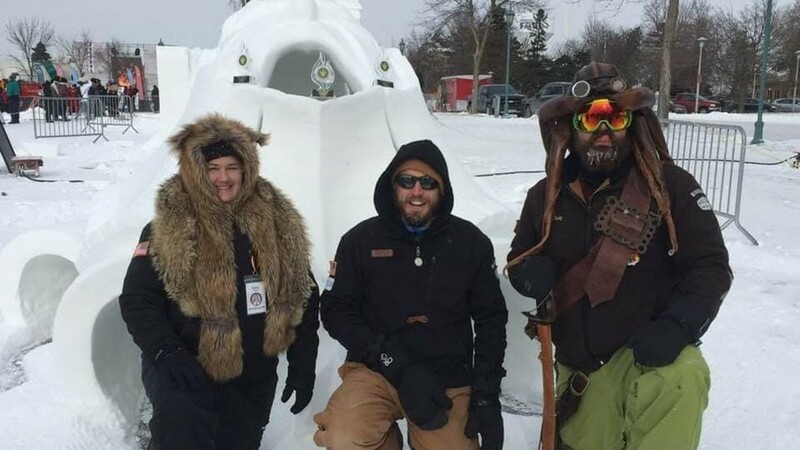 The makers of the House of Thune snow sculpture pose at the 2019 St. Paul Winter Carnival. 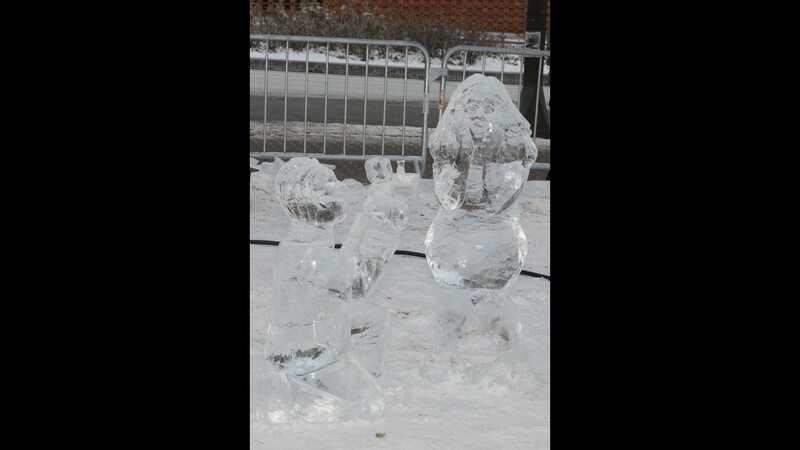 "Polar Proposal," by Jim Zupfer and Nate Stromberg. 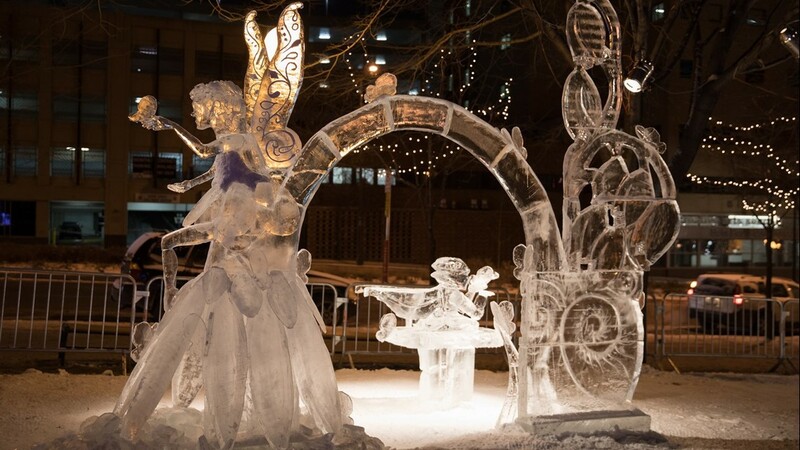 1st place in Individual Block Artisan at the 2019 St. Paul Winter Carnival. "Three Cold Mice and the Hot Cocoa Machine," by Terence and Aaron Reis and Rob and Brody Graham. 2nd place in Multi Block at the 2019 St. Paul Winter Carnival. "Pixie Haven," by Paul and Deneena Hughes, Shannon Erkenbrack and John Klug. 3rd place in Multi Block at the 2019 St. Paul Winter Carnival. 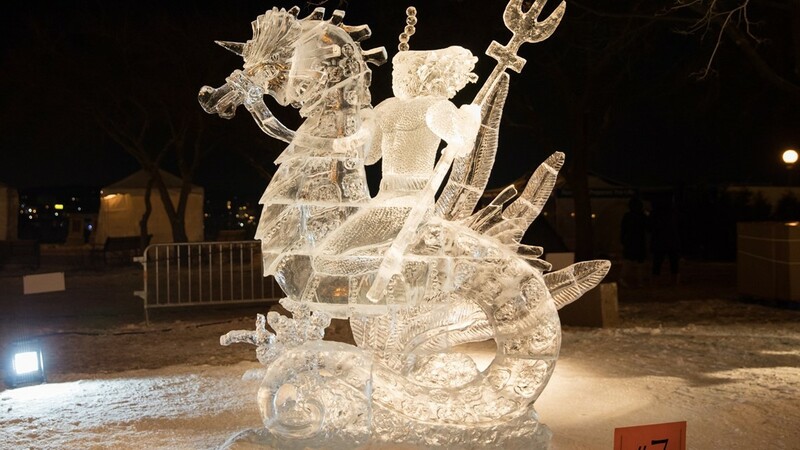 "Aquaman Riding a Seahorse," by Chris Swarbrick and Austin Greenleaf. 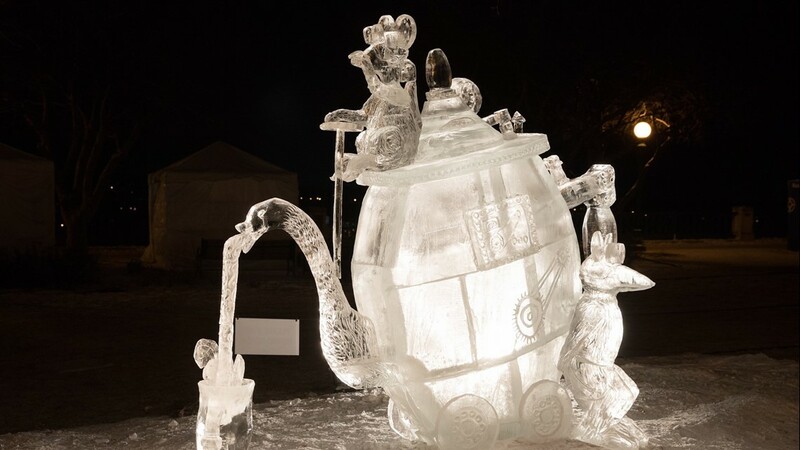 1st place in Multi Block at the 2019 St. Paul Winter Carnival.